The arrival of the new BMW X2 2019 not only marked the launch of a new model, but also the confirmation that we now have a new category among cars. After appearing at the Sao Paulo Motor Show in 2016, still, as a concept, the BMW X2 2019 was finally presented in its production version at the Detroit Motor Show in January of that year. Let us find out the new BMW X2 2019 Specs in detail. These public appearances have put some doubts in the minds of those who are not so attuned to the automotive world. After all, is the BMW X2 an SUV, a couple or a pumping hatch? In fact, none of these alternatives. Or rather, a certain mixture of them. BMW puts the BMW X2 in the category of SAC, which stands for Sports Activity Coupe (or Sports Activity Coupe, in Portuguese). That is, the model is a mix of SUV with a coupe. This means that it is smaller than the BMW X1 in the internal space, although it appears above it in the line of the brand (and be more expensive). After all, will the BMW X2 2019 specs have the necessary attributes to convince its possible buyers, even though it is more expensive than the brand’s more spacious models? 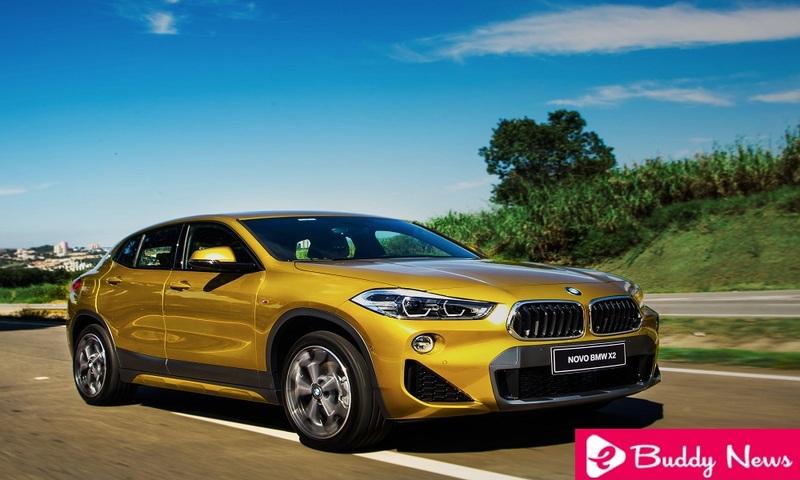 Produced in Regensburg, Germany, the BMW X2 2019 certainly draws attention for its look, which aims to especially attract younger buyers. Looking at its design, it’s hard not to remember BMW’s most famous coupe, which gives the SAC a modern, sporty and versatile look. Its front, for example, has as highlights the inverted trapezoidal grid and large air intakes at the bottom of the bumper. Just below the headlights, which are Full-LED, are the LED fog lights, in a position that resembles what we see in X1. The hood has strong creases, which also appear on the sides, which denotes a “muscular” look. Speaking about the sides, the BMW X2 2019 has other interesting details, such as a tapered design in the window frames and the brand of the brand positioned in column C, all referring to the classic BMW coupes. In the vicinity of the 19-inch wheels (18 “in the entry version), which have” Y “spokes, are arcs in a quadrangular shape, painted in black, the same color as the side skirts. Arriving at the rear, the BMW X2 features “L” shaped LED flashlights, black bumper details and a spoiler at the top. The exhaust outlets also stand out with a diameter of 90 millimeters each. The interior, in turn, presents materials of excellent quality and a lot of technology, in a visual more common among the models of the brand. The seats are covered in Dakota leather at the most expensive option, the same material used on the sports steering wheel. In addition, the interior trim of the BMW X2 still features materials in Oxide Silver Dark and high-gloss black details. The BMW X2 2019 specs also did not skimp on the equipment list. Depending on the version, the model offers a navigation system with 8.8-inch screen, 3D maps, Head-up Display, parking assistant (with front and rear sensors), Apple CarPlay and the latest version of the system ConnectedDrive, which allows internet connection. In terms of safety, the novelty features six airbags, stability and traction controls, as well as tires with Run-Flat technology. But what about the inner space? The measures of the BMW X2 2019 specs show that this is not their strong point. At 4.36 m in length, 1.82 m in width and 1.54 m in height, the model is smaller than the X1 in height and length. Only the inter-axles, of 2.67 m, remained the same. The trunk is also not generous, having only 370 liters. If the rear seats are folded down, allowing only 2 occupants, the volume rises to 1,255 liters. Sold here since April of that year, the BMW X2 2019 is available in three versions. The first, launched after its arrival and only to count on a motor of flexes of 3 cylinders, is the X2 sDrive18i GP, sold for R $ 191,950. Above it is the versions sDrive20i GP, which costs R $ 211,950, and the top of the line sDrive20i M Sports X, which exits for R $ 246,950. The latter has a 2.0 turbo engine, driven only by gasoline. The big difference of the BMW X2 2019 specs is its concept, which placed it in the category of SAC, an acronym still unknown to most Brazilians (unless they think we are talking about brand customer service). His design had a great inspiration, as already mentioned above, the classic coupes of the brand. Models such as 2000 CS and 3.0 CSL gave the BMW X2 2019 details such as its elongated ceiling, narrower windows and the brand logo in column C.
The look pleases the photos and even more when seen live, showing that the brand has hit this point. Taking into account that his target with the X2 is a younger audience, who resides in large metropolises, having a model with that appearance certainly was the right bet. Another innovation that BMW added to the line of the X2 2019, a few months after its arrival in Brazil, was the unprecedented 3-cylinder flex, which delivers 136 hp and equips the model’s entry version. In addition, the BMW X2 2019 also received from the brand an extensive list of original accessories. Available at the brand’s dealerships, they range from a synthetic leather cover to the key (for $ 257) to the lockable roof rack ($ 9,379). Available colors: Black Sapphire, Mineral Gray, Mediterranean Blue, Galvanic Gold, Sunset Orange, Sparkling Storm, Glacial Silver, Mineral White and Misano Blue (Metallic); Black II and Alpine White (solid). BMW X2 specs: sDrive18i GP 2019 – a 1.5-liter turbocharged 3-cylinder engine with 136 hp and 22.4 kgfm of torque and 6-speed automatic transmission. SERIAL ITEMS: Servotronic steering, Auto Start / Stop function, digital automatic air conditioning with dual zone climate control, multifunction steering wheel, driver and passenger seats with electric settings, front armrest, USB hub in the center console, compartment networks behind the front seats, cup holders and central object holder and 12V socket), internal light package (internal LEDs illuminating the entire vehicle can vary the light intensity and choose from 6 different options of colors: white, orange, bronze, lilac, green and blue), velvet carpet, Driving Experience Control with Comfort, Eco-Pro and Sport modes. BMW X2 sDrive20i GP 2019 – 2.0 turbo petrol engine of 192 hp and 28.5 kgfm of torque, with automatic transmission of 7 speeds. STANDARD ITEMS: One-zone manual air conditioning, leather-wrapped seats, 6.5-inch multimedia screen, parking assist, full-LED headlights, 19-inch alloy wheels, traction and stability controls, six airbags. BMW X2 sDrive20i M Sports X 2019 – 2.0 turbo petrol engine of 192 hp and 28.5 kgfm of torque, with automatic transmission of 7 speeds. STANDARD ITEMS: power-adjustable front seats, panoramic sunroof, leather-wrapped M steering wheel, digital automatic air-conditioning with climate control in two individual zones, Comfort Access (system that controls the opening and closing of doors without the need for the key (with 8.8-inch screen, 3D-view maps and Head-up Display), parking assistant (Parking Assistant), rear-view mirrors with memory function, folding and heating, ) with rear camera and front and rear parking sensors, Navigation System (with 6.5-inch screen and iDrive Touch Controller selector switch, touch-sensitive and with sign and letter recognition), Apple CarPlay and visual package M SportX,with triangular air intakes at the ends of the front bumper, Frozen Gray frame at the front air intake, M Sport X gray side skirts, M spoiler on the luggage compartment lid, M Sport X bumper, BMW Individual finish in High -gloss Shadow Line and M Sport 19-inch alloy wheels and “Y” spokes. The line of the BMW X2 2019, made up of three versions, has two engine options. The first, which equips the cheapest configuration, was the last one to be released. Even the propulsor that equips the models of the Mini, the novelty received the technology flex for the SAC of the German mark. The engine is 1.5 turbo, with 3 cylinders, with a transverse arrangement and 12 valves, besides counting on direct injection of fuel. Operating in conjunction with a six-speed automatic transmission, the engine delivers the same 136 hp (at 4,400 rpm) and 22.4 kgfm of torque (1,500 rpm) regardless of the fuel used. The two most expensive versions of the BMW X2 2019 feature the 2.0-liter, 4-cylinder in-line, 16-valve, petrol-only engine. It delivers 192 hp at 5,000 rpm and 28.5 kgfm of torque at 1,350 rpm. The transmission is automatic seven-speed, with a dual clutch. Of course, the performance figures for the BMW X2 2019 specs are better in the mid-range and top-of-the-line versions, but that does not mean you’d be disappointed if you were behind the wheel of the cheaper, smaller engine version. According to the BMW X2 2019 Specs, the 1.5 turbo engine takes the model from 0 to 100 km / h in 9.7 seconds, in addition to reaching a top speed of 200 km / h. If these numbers are not as good as those of the more powerful version, at least fuel consumption is better. In the city, it is 7.7 km / l with ethanol and 11 km / l with gasoline, while on the road the X2 makes 10 km / l with ethanol and 14 km / l with gasoline. Talking about versions equipped with 2.0 turbo engine, the performance improves considerably. The acceleration up to 100 km / h occurs in 7.7 seconds, while the maximum increases to 227 km / h.
On the other hand, consumption is slightly below the milder version: 10.3 km / l in the city and 13 km / l on the road, always with gasoline. If you’re used to researching the values you’ll spend on maintenance and periodic reviews before buying a new car, know that this information is hard to find when we talk about BMW models. The brand site does not provide any value, nor does it give a cost estimate for a given period or mileage. The only information available is from the time of vehicle launch and covers only the first 3 revisions. But those values may have been reviewed by the brand. Either way, they give an idea of how much is spent to maintain the BMW X2 2019 when equipped with a 2.0 turbo engine. In this case, the revision of 10,000 km leaves for R $ 717.58, that of 20,000 km costs R $ 1,814.82 and that of 30,000 km has an approximate value of R $ 1,521.34. That is, the total value for the first 30,000 km would be R $ 4,053.74.